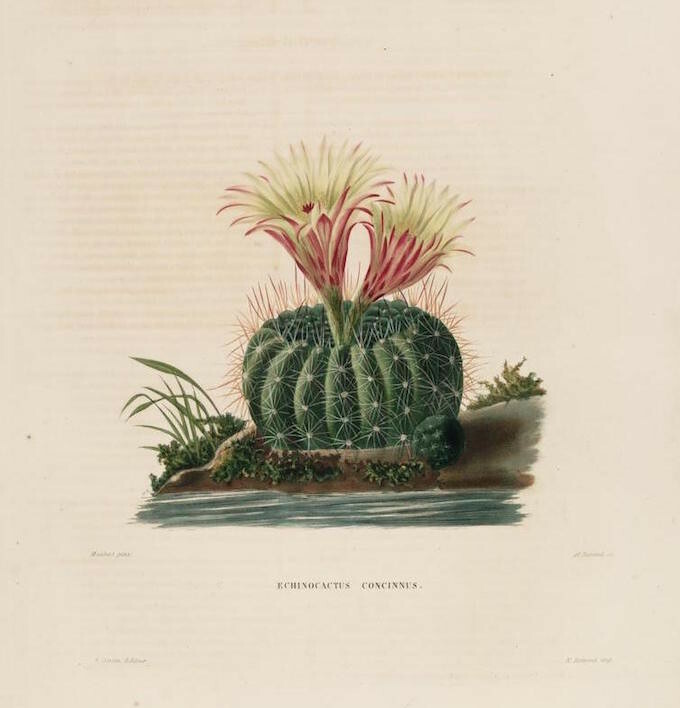 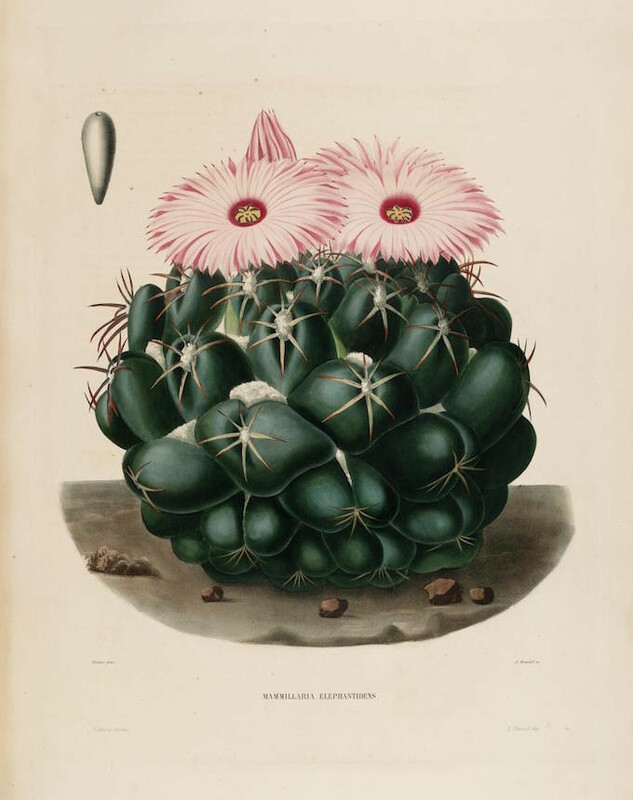 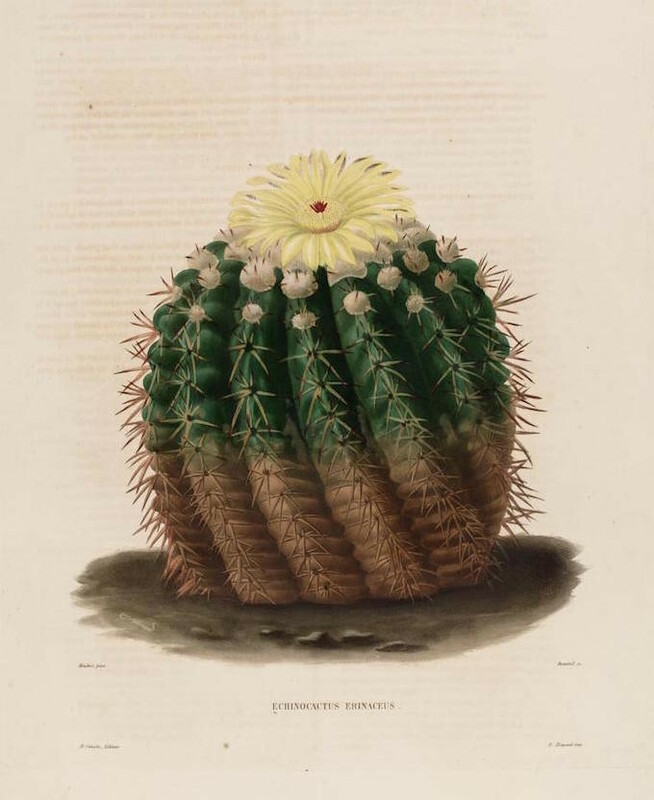 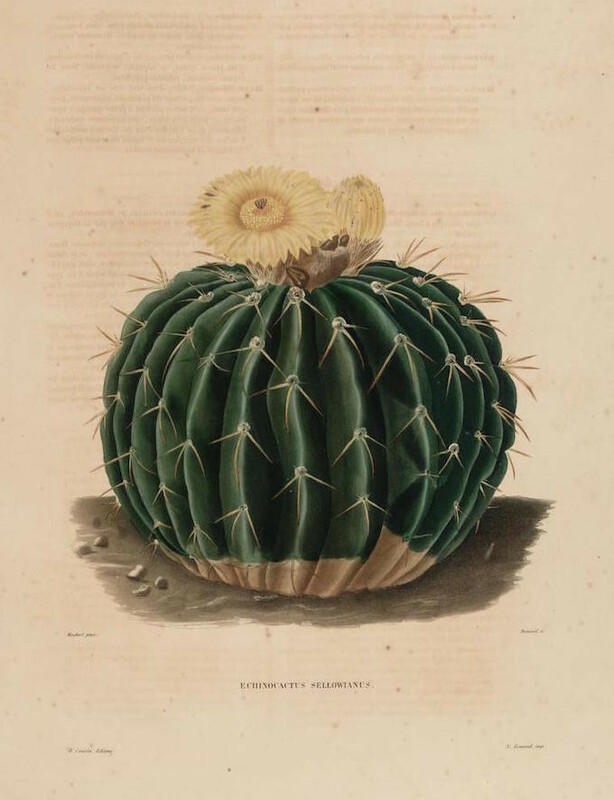 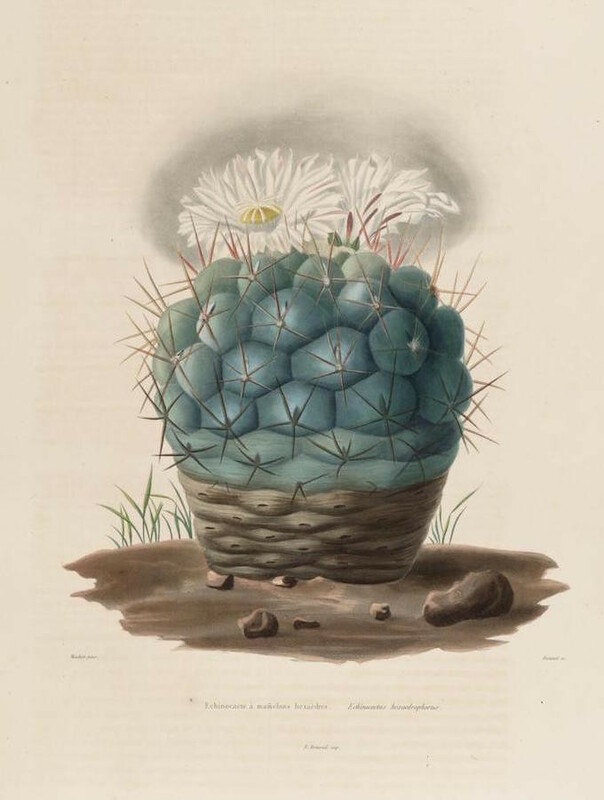 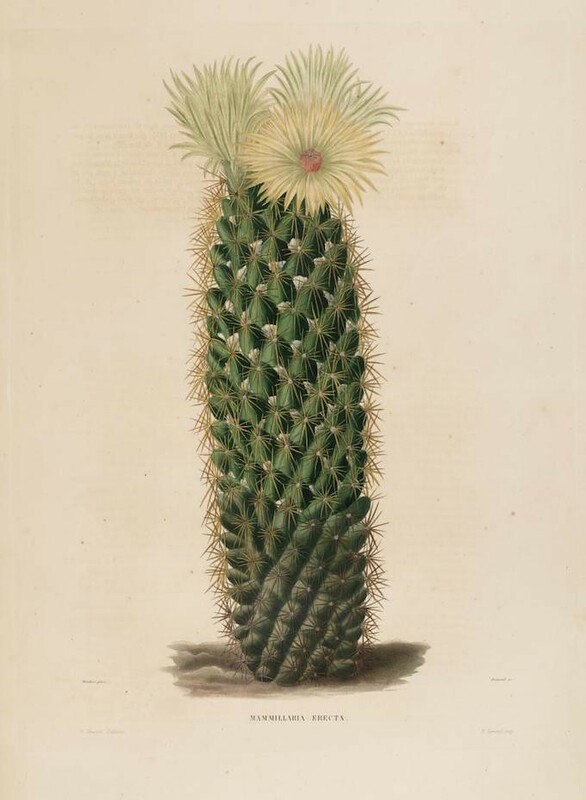 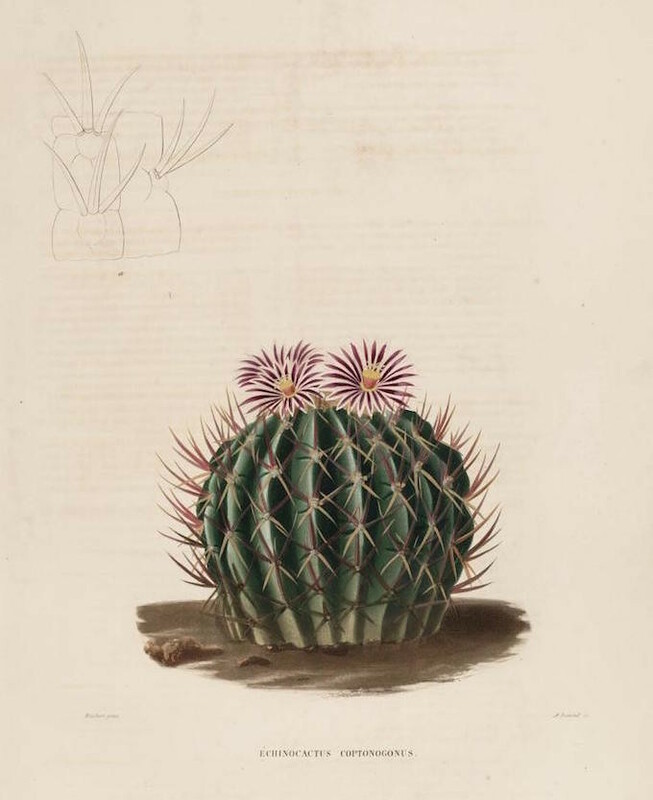 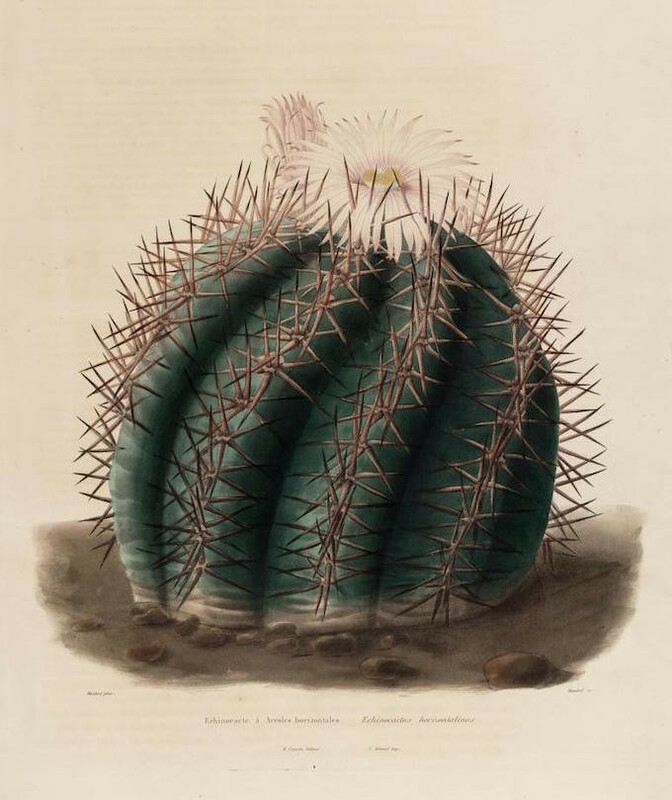 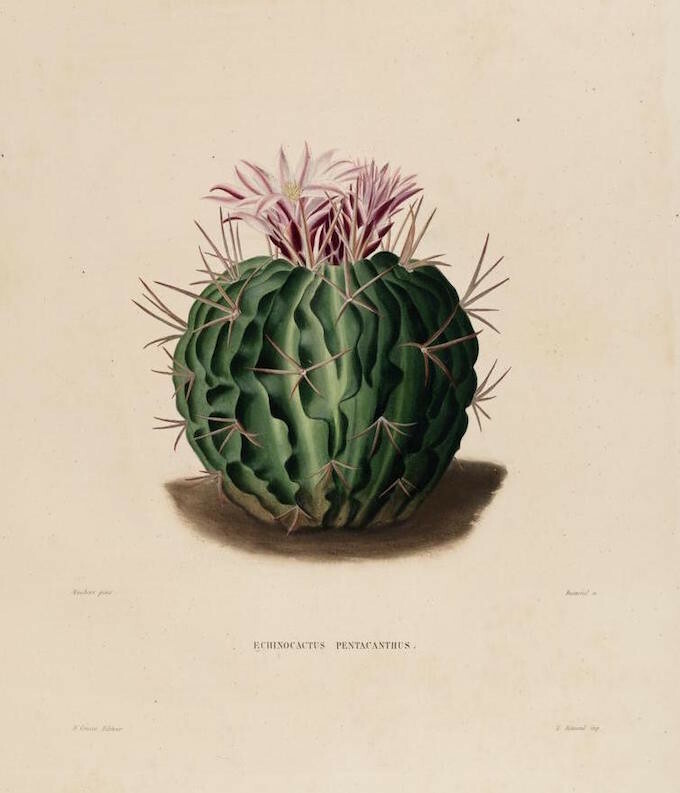 Illustrations of cacti featured in Iconographie descriptive des cactées, ou, Essais systématiques et raisonnés sur l’histoire naturelle, la classification et la culture des plantes de cette famille by French botanist Charles Lemaire. 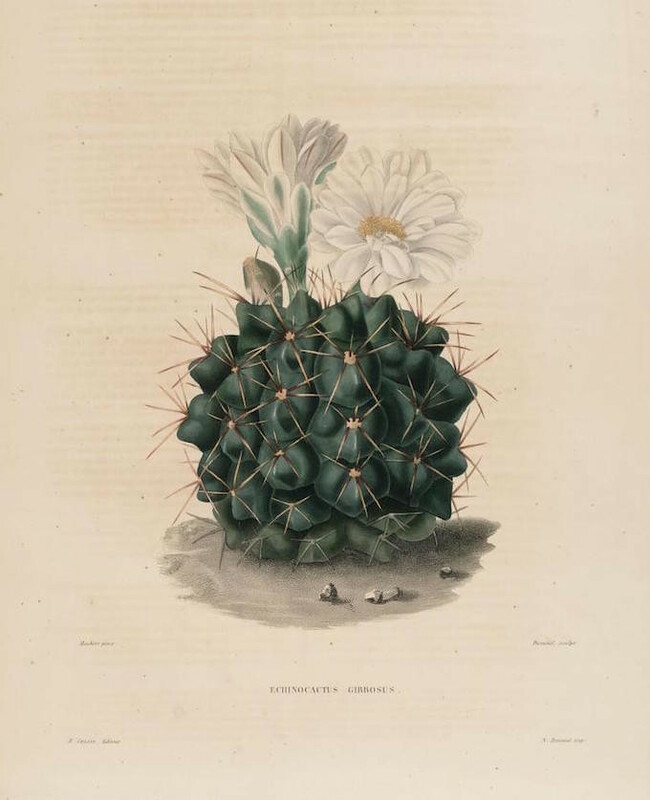 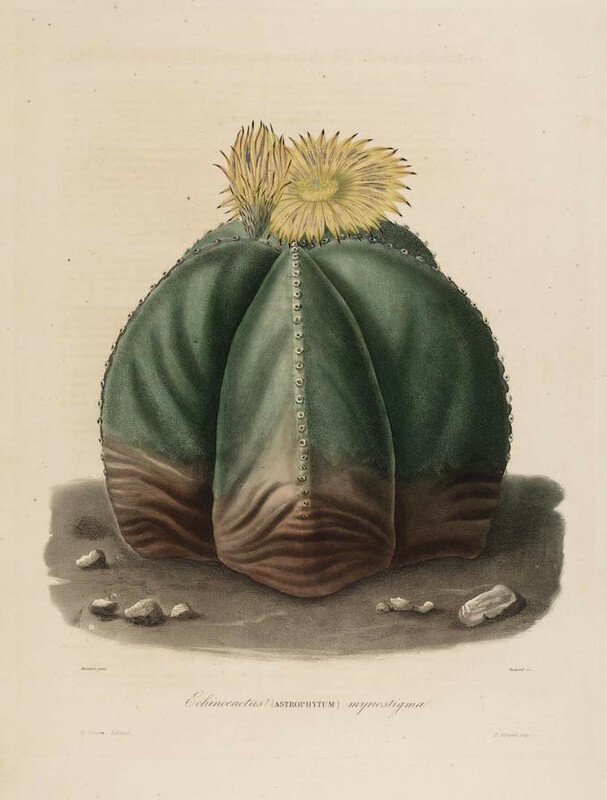 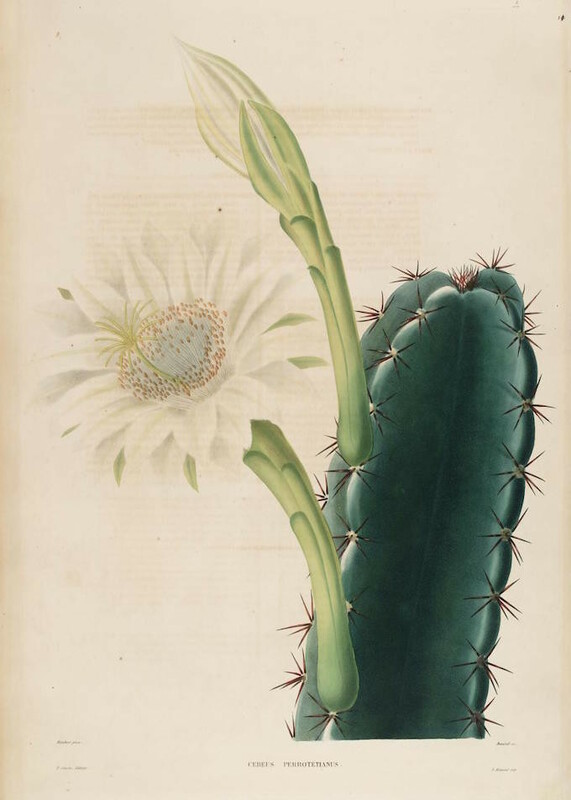 Devoting pretty much his whole career to the study of Cactaceae, Lemaire was also editor of the botanical journals L’Horticulteur Universel and Flore des Serres et des Jardins de l’Europe. 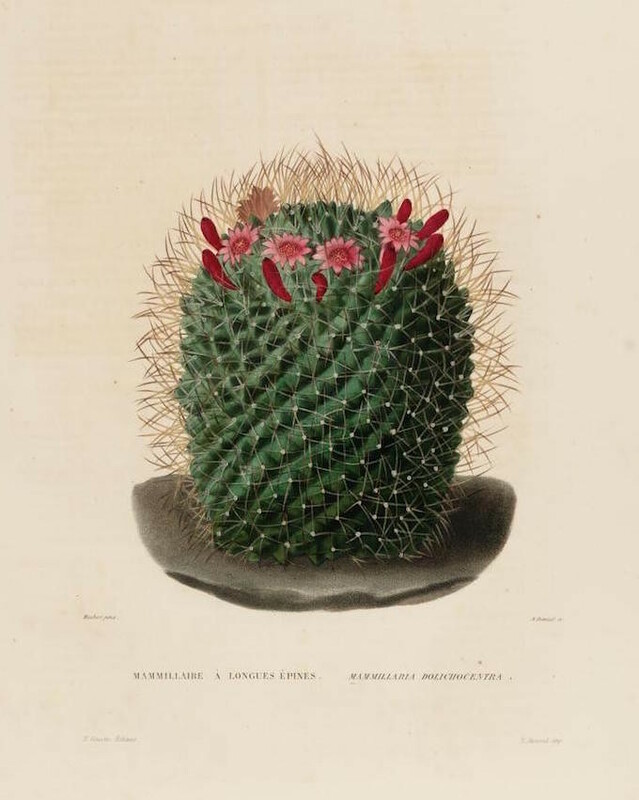 Although considered an authority Lemaire lived in semi-poverty for most of his life, never publishing a major work on Cactaceae and never managing to attract the attention of a wealthy sponsor. 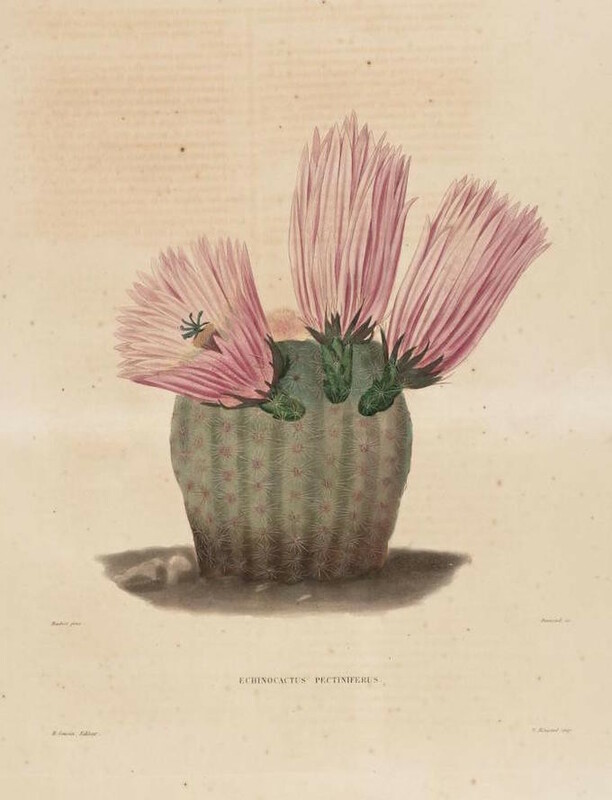 After his death in 1871, Edouard Andre, his successor as editor of L’Illustration Horticole, said that “Posterity will esteem M. Lemaire more highly than did his contemporaries”.